My grandmother swears the best biscuits are a little crunchy on the bottom (family dispute), and these would meet her criteria. They are 75% whole grain, and the original recipe calls for 100% whole grain. I’ve made them a couple of times with different add-ins and slightly different flour mixes, with success each time. Millet and brown rice are a nice base, to which I generally add a bit of quinoa, buckwheat, and amaranth. The flaxseed glues it all together. You can halve the recipe, and omit the sugar for a savory scone. Preheat the oven to 325 and grease a cookie sheet. Mix the flours, baking powder, sugar, baking soda, and flaxseed thoroughly. Stir in the add-ins. Mix together the buttermilk and oil in a small bowl or measuring cup. Quickly and light stir the wet ingredients into the dry ingredients. Don’t overbeat, but mix until there are no large lumps of flour. Spoon onto a greased baking sheet. Bake for 12-15 minutes. Eat plain, or with butter and jam. I have recently been really interested in making and trying out scones, especially those made with spelt or buckwheat flour. These look yummy and I’m amazed by how healthy you’ve managed to make them – I would definitely opt for dried cherries myself! I can’t take too much of the credit for the original concept, but these are definitely going to be a regular brunch staple. If they freeze well (if any make it into the freezer!) smaller ones could even become a daily breakfast staple. I’ve done up to about 30% buckwheat, but some people find the taste of buckwheat overwhelming so I’ve kept the portion of buckwheat down. Definitely– one batch was made with semi-failed yogurt that was basically soured milk. For general reference (future readers), souring milk can be done by adding lemon juice or vinegar to regular milk (or your faux milk of choice). The typical ratio is 1 T acid to 1 c milk. The point of the sourness is so that the baking soda reacts and creates some of the bubbles that leaven the biscuits. Thanks…that’s what I’ve been doing with soy milk when a recipe calls for buttermilk…but just wanted to make sure. 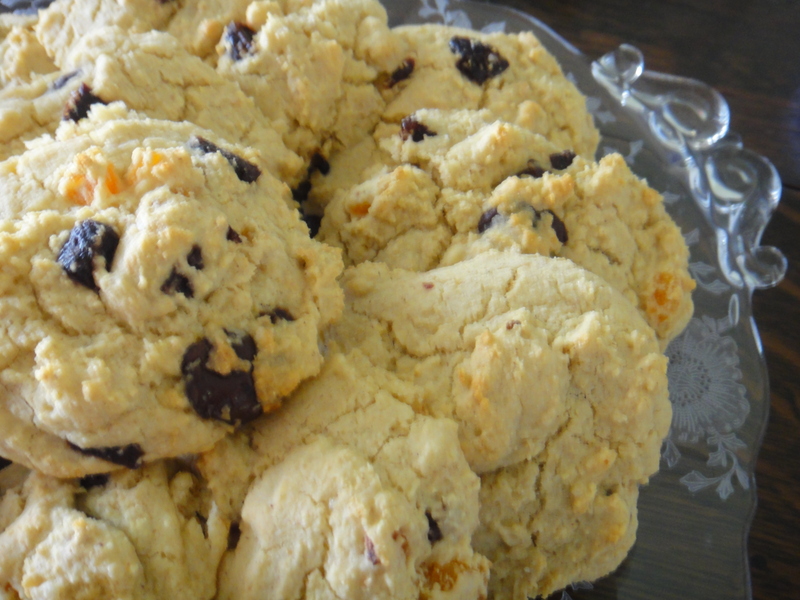 So nice to find this gluten-free scone recipe, full of whole grain goodness!